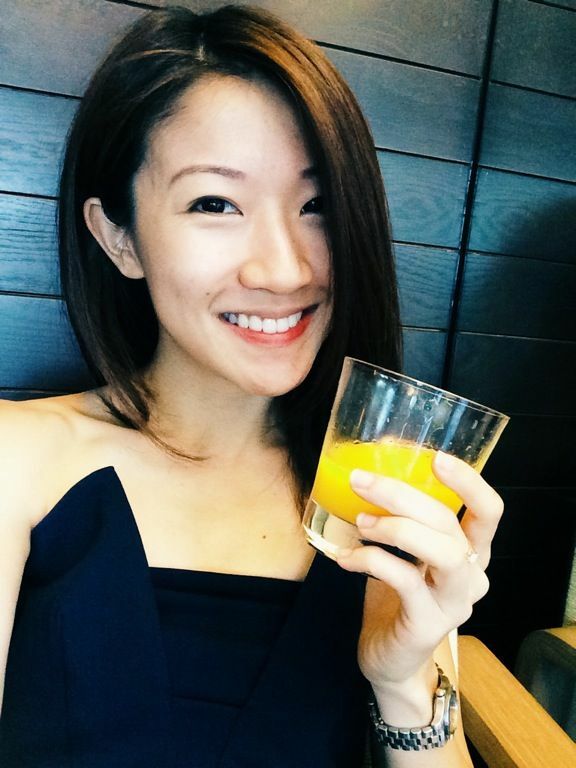 I'm not sure if you have noticed but Penang is quite a big weekend destination for Singaporeans these days. 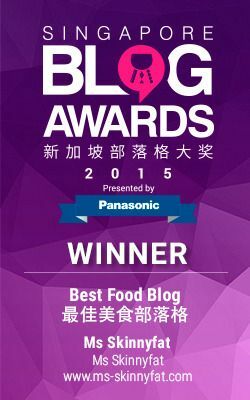 The association with delicious hawker food, other than its UNESCO World Heritage status, is certainly a huge draw for us foodies. 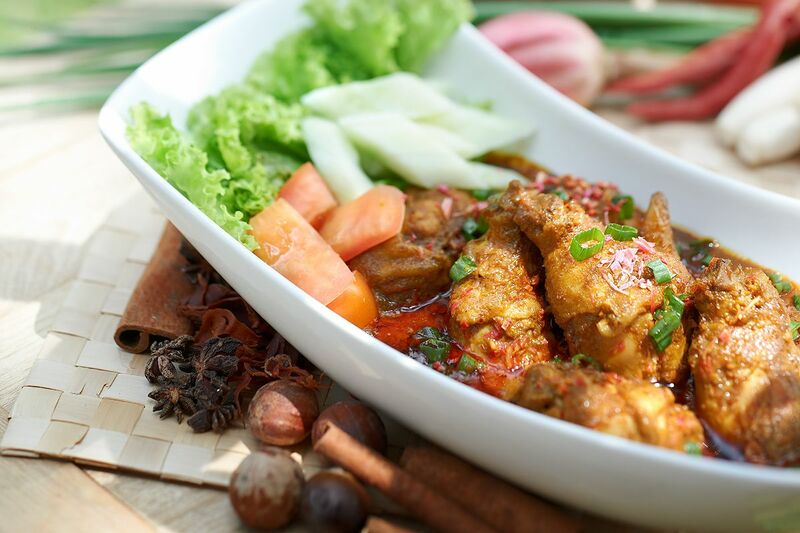 If you do not have the time to hop on a flight to Penang, Traders Hotel Singapore is showcasing the flavours of Penang at Cafebiz and Ah Hoi’s Kitchen till 31 October 2013. Guest chefs Lim Thow Shong and Ridzuan Bin Mat from Golden Sands Resort Penang will prepare a menu comprising popular Penang dishes, including Char Kway Teow, Assam Laksa, Hokkien Mee, Assam Prawns, Chicken Curry Kapitan, Rojak, Tau Kwa Sumbat, Nasi Goreng Teluk Bahang, Loh Bak, Mee Goreng Mamak Penang and Curry Mee. These dishes are featured on a rotating menu for the Cafebiz buffet, together with a range of international cuisine. 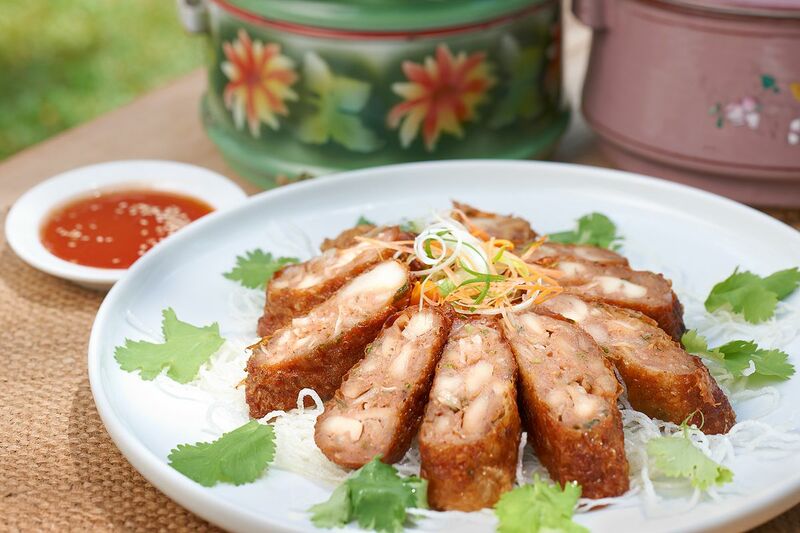 A selection of six dishes will be available for dinner at Ah Hoi’s Kitchen. 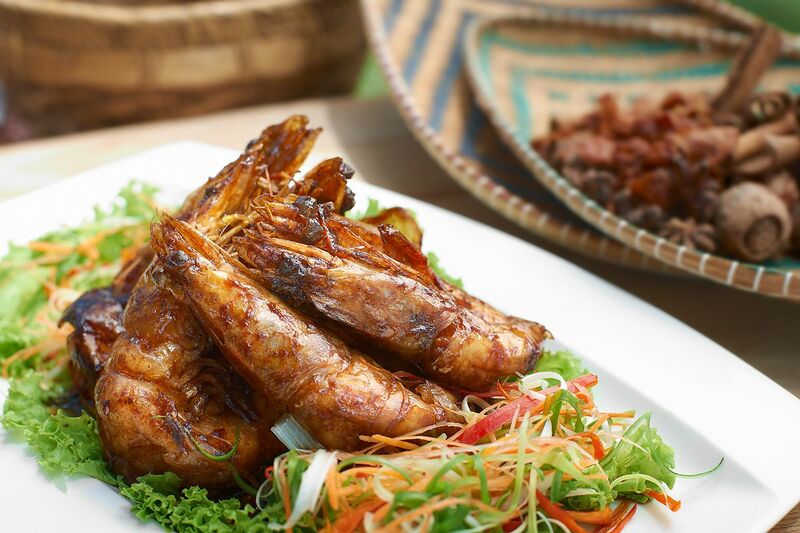 The Assam Prawns were one of my favorite dishes of the lot. The sauce was pretty much the rojak sauce which is made of a pungent, sweet and sour prawn paste. I've never had prawns cooked with this sauce before so it was rather refreshing. 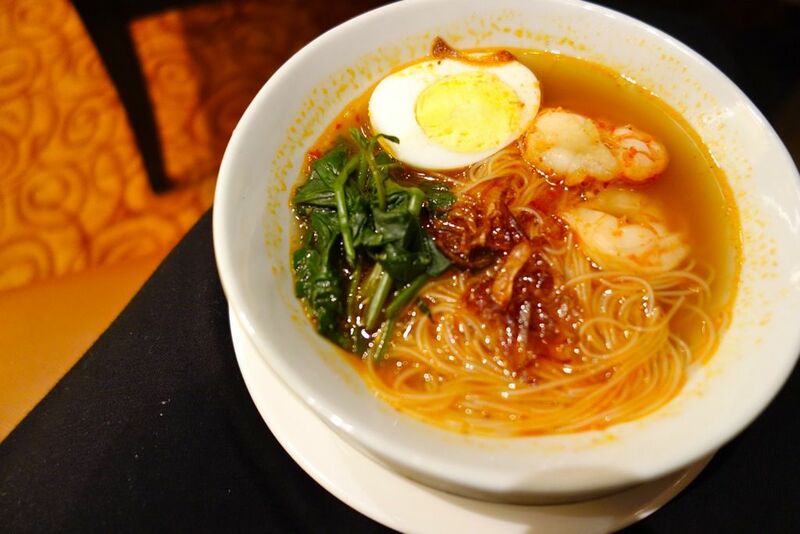 I love my prawn noodles dry, with plenty of chili and shallots (my favorite is Blanco Court's, read review here!) but i took to Cafe Biz's soupy version with rice vermicelli. The broth was a little on the sweet side but it was adequately savory and rich enough. I must be the only crazy person at the tasting to think that the Assam Laksa could be more sour. This made me crave for the uber spicy Nyonya Laksa i had in Malacca (read about it here)! There were some hits and misses with the Penang dishes at the buffet. The Chicken Curry Kapitan smelled better than it tasted. I found the rempah (spices) too bland. The Penang Char Kway Teow was also very meh. I took 1 bite and that was about it. The biggest hit was probably the Pengat Pisang dessert. Think a rich gula melaka (brown sugarcane sugar) with coconut broth and mushy bananas and you have a hit. The buffet selection may be rather limited but the lobster claws and prawns from the seafood section had me going back for seconds. The roast duck was surprisingly good, and so was the chicken rice. The braised pig trotters were flying off the line too! From now till 31 Oct 2013, diners may win a two-night stay at one of three Penang hotels during the hotel’s Penang food promotion. The hotels are Shangri-La’s Rasa Sayang Resort and Spa, Golden Sands Resort and Traders Hotel, Penang. 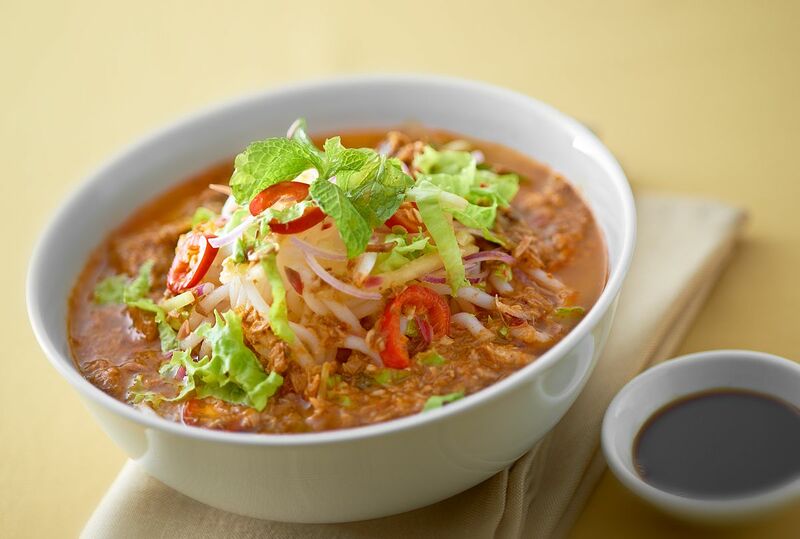 The Penang Food Promotion at Cafebiz is priced at $47 for the weekday Buffet Lunch and $58 for the weekend Brunch. Dinner buffet is priced at $58 from Monday to Wednesday and $63 from Thursday to Sunday.